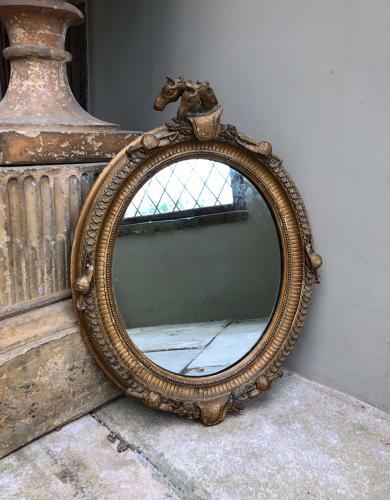 Really Superb Victorian Gilt on Gesso Decorative Mirror. Completely Original and in very good condition...original plate with very slight foxing at the top. At the top are two horses with a saddle, stirrups & ears of wheat, then around the edge are riding or jockey hats with horse whips and the trim all the way round is horseshoes. This would have to be collected or sent by Courier (UK £45 not including Scotland).